Do Not Be Afraid, Part 7 - Who Is Wise? Who Is Foolish? The Parables of Matthew 25 can be difficult. We discuss them with the help of N.T.Wright. The Parable of the Fig tree is not about the end of the world. It's about the beginning of summer! If you think the "coming of the Son of Man" in Matthew 24 is talking about the second coming of Jesus, think again. As the series title says, Do Not Be Afraid! So many people are fearful of a great tribulation coming upon the whole earth. Hint...it already happened. You don't have to look around the world today for persecutions, false prophets and lawlessness; they all happened in the 1st Century. 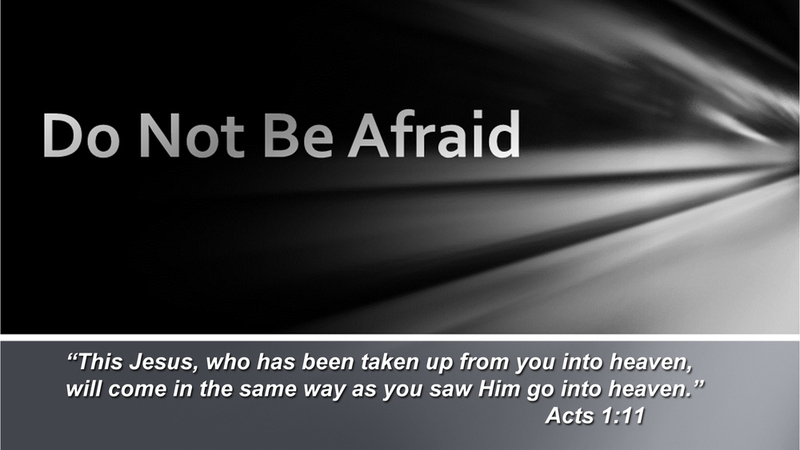 Do Not Be Afraid, Part 2 - An Alternative Eschatology - How did the disciples understand Jesus? In part 2, we consider how the disciples in the early 1st Century would have understood Jesus in the Olivet Discourse. Much popular "end-times" teaching approaches this passage with a 21st Century mindset. We seek in this message to put ourselves in the disciples shoes in the first Century.